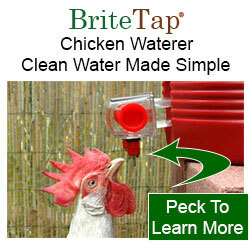 Want to win a free BriteTap chicken waterer? 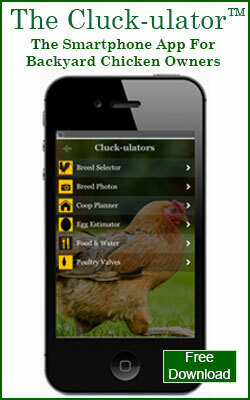 You can win one if you submit a great photo that we select in our Hen Photo Contest. 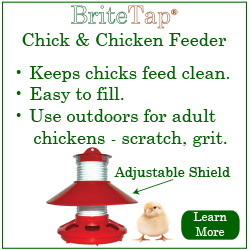 If we choose a photo you've submitted to us, we'll give you a free BriteTap chicken waterer ($29.95 retail value) and a photo credit when we publish the photo. The Official Rules for the contest are posted on our web site: Hen Photo Contest Rules. Photo Ownership - You need to own the photo. That means you took the picture yourself. Finding a nice picture on the Internet and submitting it to us as your entry doesn't count. It's also a violation of copyright law! Publishing - You need to agree to allow us to publish the photo on our web site, blog, and to use the photo for promotional purposes etc. 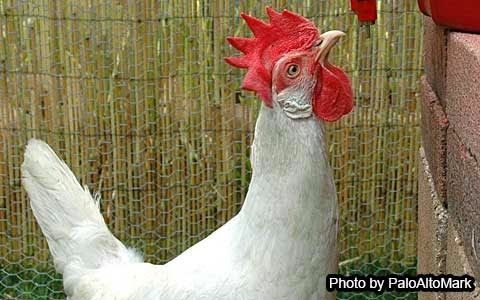 Breeds - We are looking a hen photo for each of the following chicken breeds: Iowa Blue, Redcap, Rhode Island White, and Star etc (see above list). Judging - Photographs will be judged based on their composition, clarity, artistry, and completeness in showing off the characteristics of each breed. We reserve the right not to choose a winner in any, or all, of the breed categories if none of the entries are deemed of sufficient quality for publication. Photo Submissions - you're free to submit as many photos as you like and you can submit photos for each of any or all of breeds listed above. If more than one of your photos is selected, you will get an additional free BriteTap waterer for each photo that we choose to use in the photo gallery. Geography -This offer is open to citizens of the U.S. and Canada. Entries from other countries won't be accepted. Contest Period Ends - Sunday, March 30, 2014 at midnight Pacific time.